Independent operation. 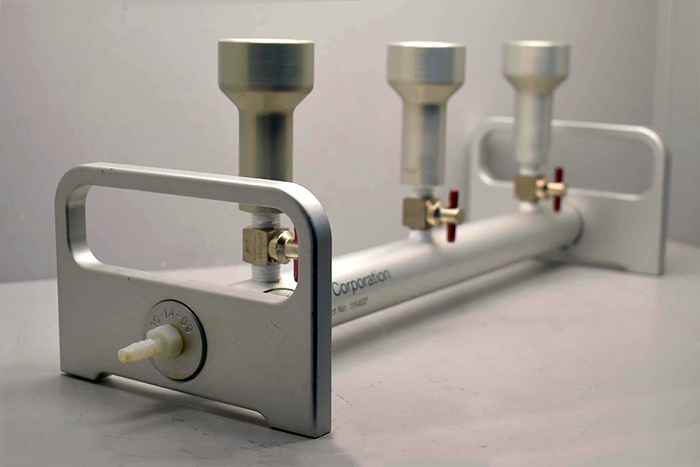 Each funnel location has individual port control valves. Lightweight and durable for easy handling. Saves money. Less costly than stainless steel filter funnel manifolds. Large port opening makes sanitizing easy. Versatile. Accommodates both 25 and 47 mm filter funnels. 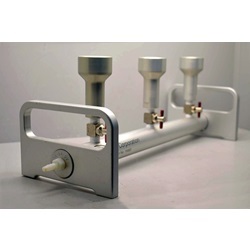 Aluminum manifolds available with 6 places.